. . . [Villazón] is in fine form, and we have a major plus as mezzo Cecilia Bartoli joins Villazón in one song, Rossini's "Tirana Les Armants de Séville", four minutes of pure delight. Excellent audio . . . He is a most musical performer with a distinctive, slightly throaty timbre . . . [the] orchestration is imaginative but unobtrusive, tasteful and apt . 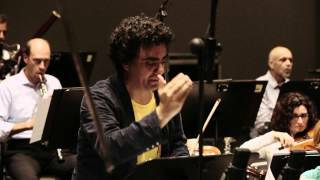 . . the plangency and expressiveness of Villazón's tones are eminently suited to the music and he brings real imagination to its delivery . . . the Rossini songs are irrepressibly charming and cheerful . . .
His tenor sounds in good form, the repertoire suits him vocally . . . By the time he gets to a spirited "La Danza" he's having a great time. Cecilia Bartoli joins him for "Les Amants de Séville" and they convey their enjoyment.
. . . attractive and often interesting pieces, and Villazón tackles them with intelligence . . . The best of Villazón's singing here reaches an appreciable level, with freedom and fluency characterizing Verdi's "Il mistero", a variety of tone and expression achieved in Donizetti's "L'amor junesro" and a wide vocal range demonstrated in the same composer's "Una lagrimo" . . . "La danza" is energetic and he finds his way around all those tricksy quavers. Cecilia Bartoli joins him for Rossini's "Tirana pour deux voix", in which they duet in sixths and thirds with charm and point. It is always a pleasure to listen to Rolando Villazón, who brings passion and commitment to whatever he sings, and this latest disc of 16 "bel canto" songs by Bellini, Donizetti, Rossini, and Verdi is rich in lovely melody . . . they suit the tenor at this stage of his vocal journey and offer him numerous opportunities for color, melody, and dramatic narrative. Villazón's interpretations range from the gently lyrical to tenderly melancholy, to occasional more dramatic outbursts, though in general the approach is restrained in proportion to the music . . . his phrasing is intelligent and musical, and he packs emotion into the moments when he can let loose . . . the singer's diction in both Italian and French is clear, and his delivery of text sensitive and thoughtful. Armiliato is entirely singer-friendly as a conductor, bringing a fine sense of line and élan, and the orchestra plays to the manner born with this repertoire . . . Among the many gems is a sweetly melancholy "Ma rendi pur content" and a passionate account of "Torna, vezzosa Fillide" by Bellini . . . An added delight is the closing duet from Rossini 's "Les amants de Séville", which the tenor sings with Cecilia Bartoli. Here the two artists' voices blending richly to create a moving effect . . . This is a lovely addition to recordings of the Italian art song repertoire . . . it is an elegant, often moving listening experience.
. . . geschmackvoll interpretiert vom Orchester des Maggio Musica Florenz unter Marco Armiliato . . . Mit dem ihm eigenen emotionalen Engagement macht Villazón aus jeder Nummer eine Miniaturoper voll Herzschmerz und leidenschaftlicher Dramatik . . . Stimmlich präsentiert sich der Sänger in ausgeruhter Verfassung . 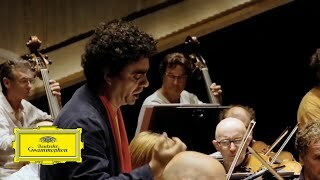 . .
Das Orchestra del Maggio Musicale Fiorentino unter Marco Armiliato spürt jede noch so kleine Nuance dieser Lied-Miniaturen auf. Auch die Dramatik, die vor allem in den Verdi-Liedern steckt, wird mit Orchesterbegleitung viel plastischer und so werden aus Liedern fast schon kleine Opernarien . . . Mit weicher, warmer Stimmgebung, großer Intensität und einer Dynamik, die meist im mp/mf-Bereich angesiedelt ist, gelingt es Rolando Villazon auf diesem Album eine intime Atmosphäre zu schaffen. Er transportiert die leichte Melancholie, die über vielen dieser Lieder liegt, ohne Umwege und ungekünstelt direkt ins Herz . . . ein wunderbares Album mit Liedern voller Poesie. 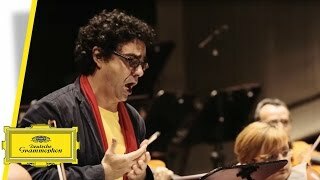 Man kann nur sagen: "Bel cantato" -- Einfach "schön gesungen", Rolando Villazon! Man hört wunderbar gestaltete Melodien -- etwa ein traumhaft schlichtes "Vaga luna" von Bellini --, die in der kleinen Form alles enthalten, was den Opernstil des Belcanto auszeichnet . . . sein Gesang ist von großer Einfühlung und Lebendigkeit . . .
. . . [Villazón beweist] einmal mehr das Geschick, ungewöhnliches Repertoire für die egenen stimmlichen Mittel fruchtbar zu machen. Jedenfalls klingt er geschmeidig und unangestrengt wie lange nicht, und sowieso lacht aus jedem Lied das Stückchen Seelensonnenschein, für das Rolando von seinen Fans geliebt wird. Verdis expressive Lieder, die nah an der Oper sind und über Belcanto weit hinausgehen, vertragen die dramatische Verstärkung . . . Rolando Villazóns süffiger Tenor kann vor allem in der Mittellage und der Höhe für sich einnehmen . . . "L'amor funesto" (Unselige Liebe) von Donizetti bringt der Mexikaner zum Leuchten, Rossinis "La lontananza" (Aus der Ferne) versieht er mit klaren Spitzentönen . . . Timbre flexible, aigus couverts et timbrés . . . font ici la réussite totale de ce récital qui signe le grand retour du ténor mexicain . . . Bravissimo! Following journeys through the music of Mozart and Verdi in recent years, Rolando Villazón now brings us a stunning collection of songs from the Romantic bel canto period - miniature gems penned by Bellini, Donizetti, Rossini and Verdi - originally scored for piano accompaniment and presented here for the first time in new arrangements for orchestra. Following journeys through the music of Mozart and Verdi in recent years, Rolando Villazón now brings us a stunning collection of songs from the Romantic bel canto period. See here Vincenzo Bellini's "Malinconia, ninfa gentile"! Following journeys through the music of Mozart and Verdi in recent years, Rolando Villazón now brings us a stunning collection of songs from the Romantic bel canto period. See here an excerpt from Gioachino Antonio Rossini's "La Danza". Following journeys through the music of Mozart and Verdi in recent years, Rolando Villazón now brings us a stunning collection of songs from the Romantic bel canto period. See here an excerpt from Bellini's "Vaga Luna".